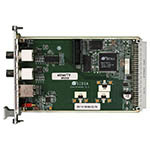 This product bridges either multiple or single MPEG-2 transport streams from DVB-ASI to IP and vice versa. EtherTV Bridge handles any transport stream carrying MPEG-2, MPEG-4 (H.264 AVC) or VC.1 compressed video in Standard Definition as well as High Definition. 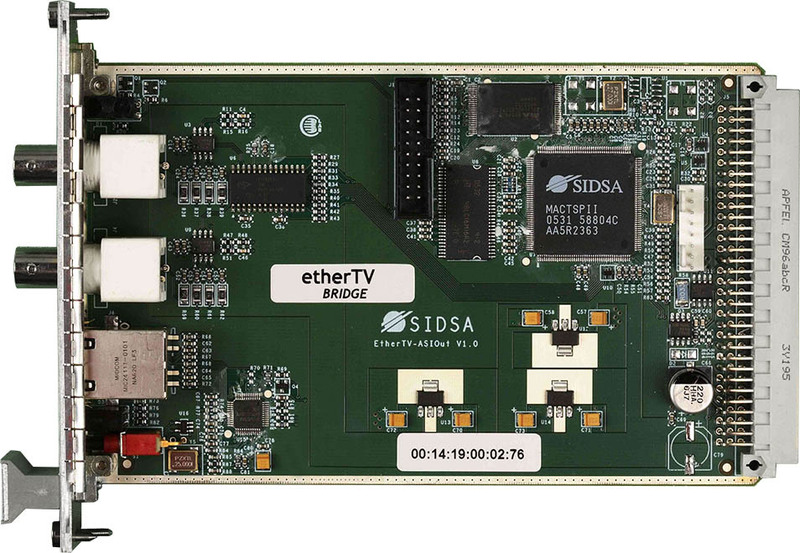 EtherTV Bridge does not need external time reference for accurate synchronization in SFN DVB-T/H networks. 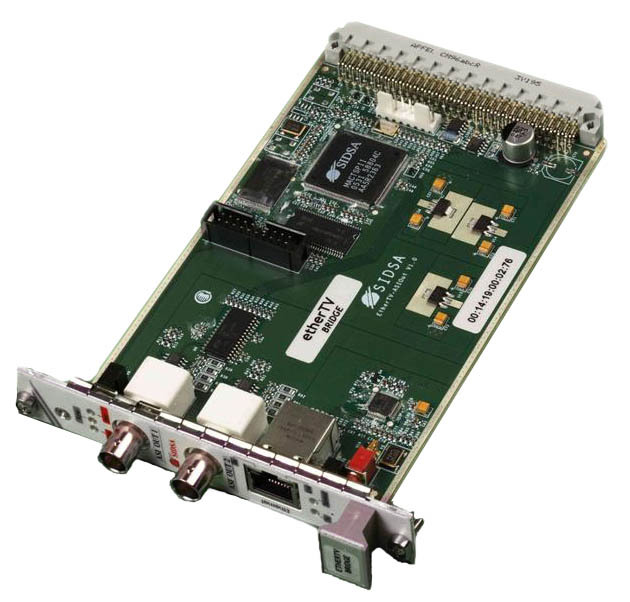 The powerful algorithms included permit a fast and accurate locking bitrate control to the incoming transport stream that is fully compliant with SFN deployments.